Deirdre Madden, an Irish fiction writer, is one of my favorite authors writing today. Her work is elegantly structured, economical, her characters drawn with precision and warmth, and her stories often capture an ordinary person confronting the unordinary. She subtly explores the discomfort that results and creates for the reader the impression that these surprises are what makes a life worth living. 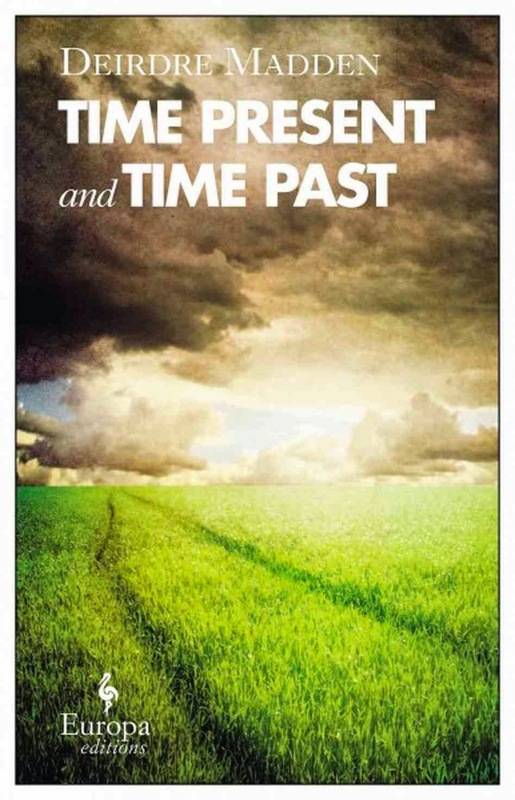 In no book does that seem truer than in her latest: Time Present and Time Past (Europa Editions, 2014). suddenly finds that he has become aware of his surroundings in a new and disturbing way. Looking at the photographs makes Fintan feel vertiginous. They offer him a weird portal back into the past, into another world. Fintan's past comes crashing in on his present. It is a misreading of the novel that the publisher describes these experiences on the book jacket as "auditory hallucinations, causing him to lose track of time." The word hallucination suggests that Fintan's experience is unreal, that he may not be entirely in possession of his faculties when, in fact, Madden indicates otherwise. ...at a certain point he had stopped hearing, or indeed listening to, what his companion was saying. The other man had stopped being a person with whom Fintan was communicating, and had become instead a kind of phenomenon which he was observing. It was as if the air had thinned out and the man was like something that had dropped out of the sky. Fintan had stared at his face, which was florid, at the way his bulging neck flowed over the hard edge of his shirt collar. The lilac silk tie had a luxurious sheen; he noticed the way there was a kind of white light in where it curved in the knot. Maybe it was something of the contrast between his companion's imperfect body and the expensive details of his attire that had triggered all of this. This isn't ordinary, sure, but if anything his experience of the man is hyperreal, stripped of his conventional significance because Fintan's perception of time has been altered. Yet Fintan focuses on what is before his eyes with clarity. Yet, at the same time that Madden suggests this is a strange experience for Fintan, it is in other ways very close to an ordinary one. This is what is so perfect about Madden's creation - strange, yet recognizable to any human reader - for who among us has not felt, as Fintan tells his son Niall, as if a memory from long ago really happened yesterday. The whole point of Time Present and Time Past was that Fintan has experiences which, although distracting to his job performance and his routine unperturbedness, cause him to be more curious, more sensitive, and to value those he loves more. The most striking moment in the novel is when Fintan suddenly addresses his family one night at the dinner table. 'Thank you,' and stands up. Fintan doesn't so much lose time as find it. This is hardly an hallucination, more like a gift. Madden's beautiful novel is about, as Eliot writes, disturbing the dust on Fintan's bowl of rose-leaves. Perhaps the publishers come to the same conclusion as the bird does later in Eliot's first stanza. He chirps 'human kind/Cannot bear very much reality.' Becoming aware of the rush of time such that life appears to us as more precious, is very real indeed. Some three months have passed since first we met Fintan, sitting gloomily in a restaurant, eating chocolate almonds. In the course of that time much consideration has been given to the past, and so we should, perhaps, give some thought to the future. So time is a form of redemption, for Eliot and for Madden. And why remember? To conquer time. An extraordinarily good purpose for disturbing the dust on a bowl of rose-leaves.